Tao Pai Pai (or “mercenary Tao”) is an early Dragonball character. He first appeared in 1986 in the manga , and in 2002 in the animé adaptation. 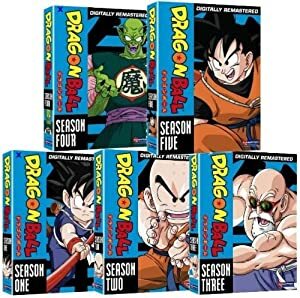 Dragonball and its sequels and spin-offs being, in turn, one of the most successful comic (and animated material) in the entire history of all of everything. Tao Pai Pai was Turi Senin’s brother. He trained Chaos and Ten Xin Han when they were younger. Turi Senin was a pupil of master Mutaito. He was in times friend, mate and then rival to Mutenroshi, the Kame Senin. He’s a natural born killer. His preferred transport is to pick up a column, throw it and while flying away, jump over it. He is really exact with the distance, and has been seen to travel 2,300 miles in 30 minutes by this means. At one point, Tao Pai Pai delivered a killing stroke with his tongue (!). In DC Heroes RPG terms, he used his Martial Artist EV and the attendant Sharpness. This strange blow is at -2CS to AV and -3CS to EV. Tao Pai Pai was hired by the Red Ribbon Army to kill Songoku and get his Dragon Balls. Tao Pai Pai first killed General Blue. He later defeated Songoku at the basements of the Sacred Tower, almost killing him. During the battle his tunic was ragged by a Kame Hame. As a result, he went to a nearby village to dress properly before returning to the Red Ribbon’s HQ. But Songoku was alive. The fourth ball he had under his kimono had saved his life. Thinking Tao Pai Pai would return to recover the fourth ball and recalling how easily he had lost, Goku climbed to the top of the Sacred Tower. His goal was to drink the Holy Water, a feat that only one man had achieved before : Kame Senin. When Tao Pai Pai returned three days later, Songoku had finished his training at the top with Master Karin. They battled again, and this time the winner was Songoku. Wondering what had changed, Tao Pai Pai cheated Songoku and climbed the tower. At the top, he intimidated Karin to give him Holy Water. However, the Lord of the Tower was smarter and cheated the cheater. Convinced he had drunk Holy Water and that he was stronger than ever, Tao Pai Pai fought again with Songoku, losing again. Going berserk, Tao Pai Pai attacked Songoku with a saber and finally threw him a grenade. Songoku threw it back. Tao Pai Pai was presumed dead until some years later he returned as a cyborg to the Great Martial Artist Tournament. Tao Pai Pai is about 5’ 10” tall, slim, with black hair (including a pigtail he loves to wear) and a short black moustache. Tao Pai Pai dresses a pink Asian tunic with his logo at the front and his motto “Kill You” at the back. Under it, he wears violet trousers. Tao Pai Pai has been devoted to his “job” for 20 years. He is grim, ruthless, with a dark humour and doesn’t forget an offense. He charges a lot for every service he is hired to do (100 millions to kill somebody). He will always bill even trivial surcharges. However he had a “special offer” for his 20th anniversary: 50% sale). Tao Pai Pai is proud of his elegance and will not appear in public, if he can avoid it, without being perfectly dressed. Cling can only be used while running at top speed (-1). Jumping is reduced to 11 APs unless Tao can throw a fitting object (a column, a tree), then jump to it in mid flight and “surf” it (-1). Connoisseur, Iron Nerves, Schitck (Mystique). Turi Senin (High), Red Ribbon (Low), Underworld (Low). SIA toward Money, SIA toward being Well Dressed, Serious Rage. Sword [BODY 11, EV 04 (12 w/STR), Sharpness (EV): 02, Shrinking: 12]. Grenade [BODY 03, Bomb: 08, Grenade Drawback]. To use Tao Pai Pai as a cyborg, make the following changes: STR 13 BODY 09, Skin Armor: 03, Energy Blast: 14, Superspeed: 12, 8 AP C Omnigadgets [x3]. Helper(s): Sébastien Andrivet, André G. de A. Vieira.